Swansea Bay has a rich and captivating history. From the prehistoric homes of our cave dwelling ancestors to medieval castles, mysterious shipwrecks and tales of smugglers, insights into the area’s fascinating past are everywhere. 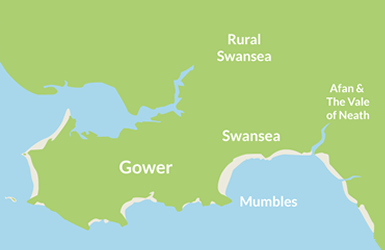 Home to Swansea Museum (the oldest museum in Wales), the fully interactive National Waterfront Museum, King Arthur’s Stone and majestic Oystermouth Castle with its stunning views across Swansea Bay to name but a few, discover some of Wales’ and Britain’s most enthralling history. #LiveTheLegend #SeaSwanseaBay.